For the past two years, I have worked on developing a biomedical device to aid in Lyme disease diagnosis. In that time, I have had many opportunities to talk to experts in the field and those who have been affected in one way or another by Lyme disease. I have heard opinions from both sides; some have been founded on scientific experimentation and others through practical life experience. Left unchecked, Lyme disease can cause severe arthritis, fatigue, heart arrhythmias, facial palsy, and in extreme cases, heart failure and dementia. One woman I spoke with at an international science fair on a public day had personal experience with this. She had found a tick biting her and developed a bulls-eye rash, the hallmark sign of Lyme disease. When she let her doctor know, he brushed her off telling her that there were no confirmed cases of Lyme disease in their state. Several years down the road and after seeing several doctors, she was positively diagnosed with Lyme disease. However, by then she had already been debilitated by chronic fatigue and arthritis, the all-too-common symptoms of untreated Lyme disease. Her story is not unique - I have heard countless stories from people like this where doctors either consciously or unconsciously do not test for Lyme disease, or when patients do not even realize they have a disease until much too late and it completely wrecks their life. Why could this be? Let’s explore a few of the possible explanations. 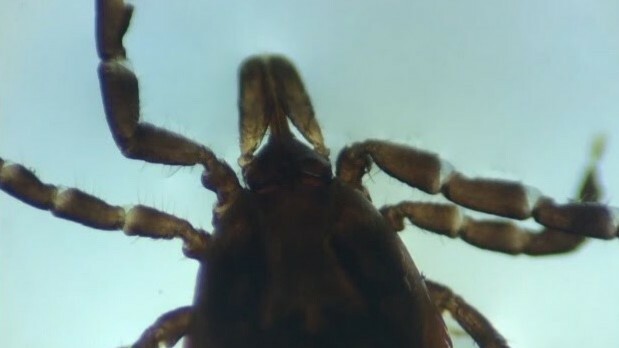 According to the Centers for Disease Control, roughly 40,000 cases of Lyme disease are reported each year, but some have speculated the actual number of cases to be closer to 400,000. The difference between the two numbers leaves quite a bit of room for error in prediction of where Lyme disease is present. With the common assumption that it is only in the Northeast, people often do not believe that Lyme disease is a reasonable diagnosis. However, the disease is constantly spreading throughout the United States and is not contained in just the Northeast. In fact, there have been reported cases in most states as well as large concentrations in the upper Midwest and the West Coast. Unfortunately, the ambiguity of Lyme disease symptoms often prompts doctors to diagnose their patients with diseases that manifest similar symptoms like fibromyalgia or multiple sclerosis, heart conditions, Chronic Fatigue Syndrome, or even the flu. The one identifying clinical sign, the iconic bulls-eye rash, does not appear in up to 40% of cases, which makes it difficult for doctors to decipher the other symptoms and accurately diagnose with Lyme disease. This is not to attack doctors, but rather acknowledge that although they are most often trying their best to help, they at times do not have the tools to do their job correctly. Current testing that doctors use to diagnose Lyme disease includes clinical signs and multi-tier immunoassays (tests that detect antibodies). Due to the structure of the bacteria, its ability to stay at low levels throughout infection, and its well-designed protein masking system that replicates a human body, Lyme disease often goes undetected. At the very best, these tests will work two weeks after symptoms show up, but some are not able to function until up to a month after symptoms start displaying, once the permanent damage has already started to occur. That is where my research came in. I wanted to create a device that could fight these misdiagnoses and get treatment to patients quickly. Seeing that in order to beat Lyme disease it needs to be caught within the first four weeks and that current testing was unreliable during this period, I decided to create a device that detects the disease reliably while it is still inside the ticks. This would serve as proof to those who believe it is not in their region, bring awareness to the possibility of infection to both patients and their doctors, and prompt doctors to perform the laboratory tests and provide preventative medicine. So what can you do? The best thing to do is to educate yourself and encourage those around you to do the same. Make sure to use reliable and science-backed material and avoid sensationalist articles or websites. When coming back from being outside, do full body checks for ticks and remove any with tweezers - do not use fire, alcohol, petroleum jelly, or any other similar methods as these will cause ticks to regurgitate and may increase your risk of infection. If you want to focus on the long-term, support Lyme disease research and help those who are trying to stop its spread and aid in treatment. "The best thing to do is to educate yourself and encourage those around you to do the same." Stay tuned to the Lewis and Quark section for upcoming science content, and be sure to give feedback or request topics by contacting Luke Little (contact information below).